Back when I lived in Norfolk I had a wonderful tradition with my friends - every Easter weekend we would go to a local farm and spend hours watching lambs being born. It was the most amazing experience and something I looked forward to every year. 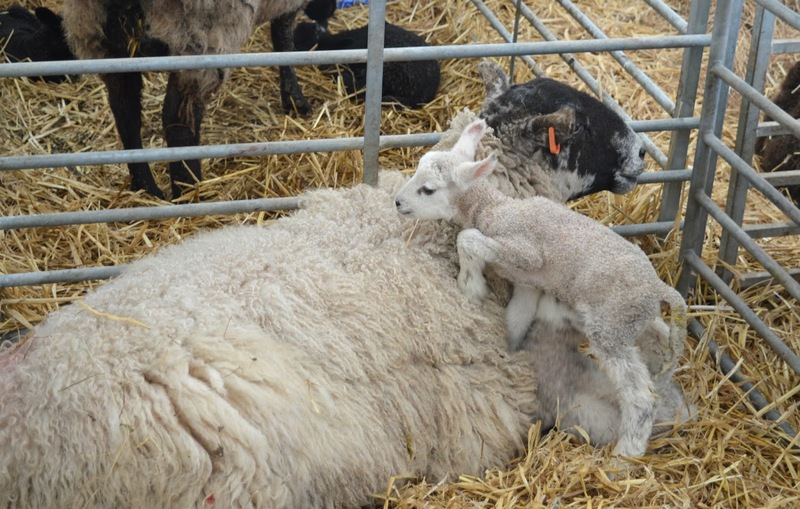 I've always been keen to recreate the Easter tradition in the North East and have been wanting to attend The Lambing Shed Live at Broom House Farm since I first heard about it. 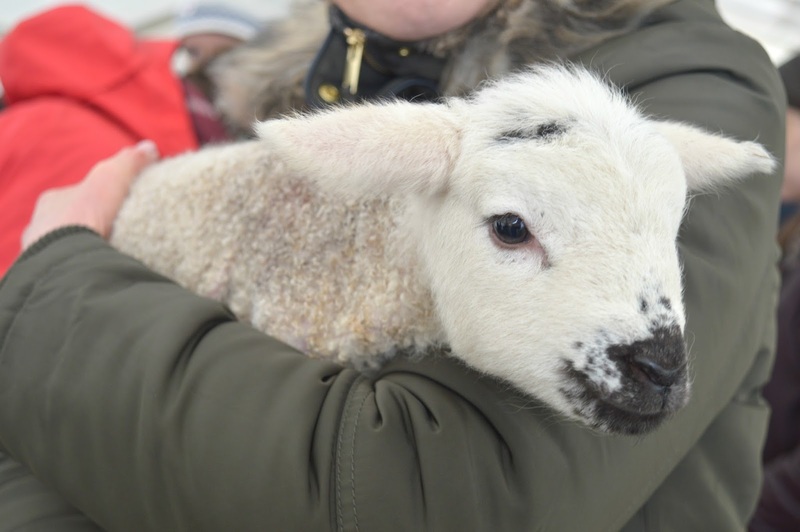 Taking place every day until Sunday 15 April, The Lambing Shed Live offers guests the special experience of a guided tour round Broom House Farm in Northumberland during the peak lambing season. 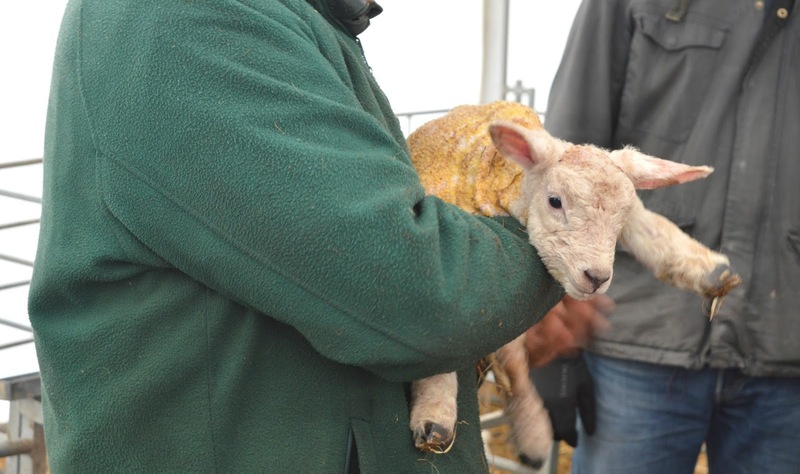 With more than half of last year's visitors getting to see a lamb being born, you can imagine how excited I was! Tickets are best booked in advance and we got ours a few months ago, back when I had romantic ideas about the Easter weekend being all blue skies and sunshine. Unfortunately lambing day arrived the same time as "Beast of the East" part 3 (can you believe it!) and we found ourselves heading up to Northumberland in thermal socks, waterproof trousers and wellies. 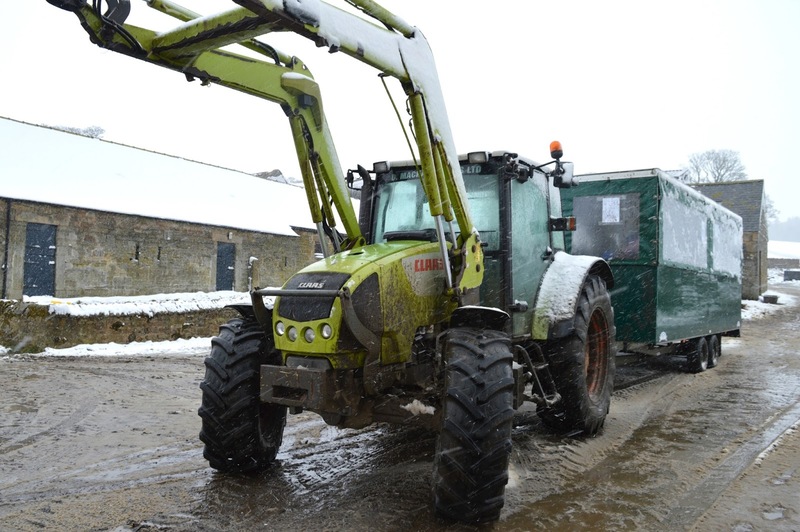 The journey to Broom House Farm for Lambing Shed Live is on board a tractor pulled trailer from the carpark at the National Trust site at Wallington. When I saw the weather in the morning I'd been worried that we'd be sitting on soggy hay bales getting rained on but our trailer was completely under cover which made us feel like royalty as we made the 10 minute journey down the bumpy country roads to Broom House Farm. 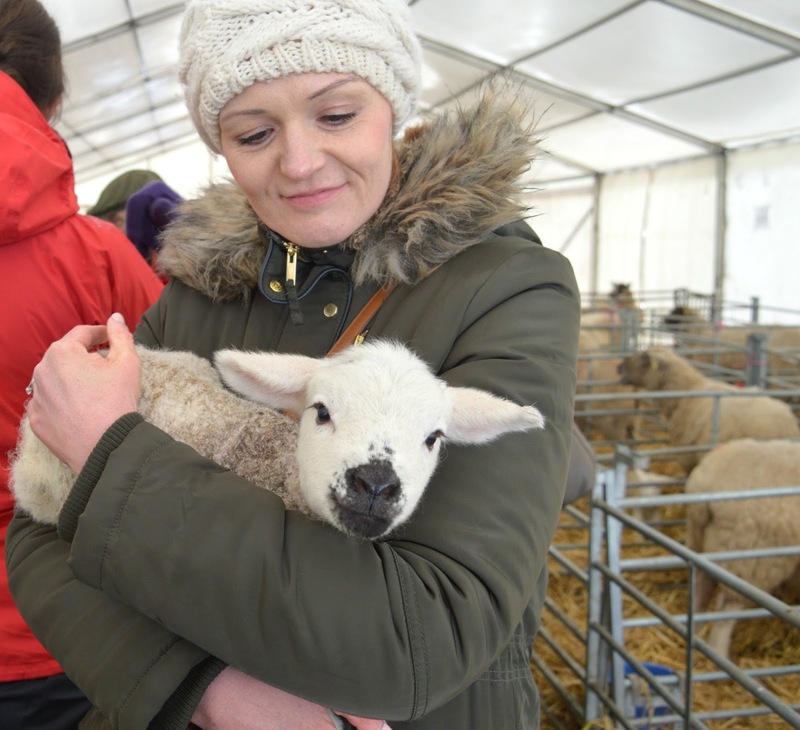 As the weather this Spring has been particularly bad, Lambing Shed Live is taking place in a marquee on the farm, a nice little protection from the elements and a cosier place for the expectant mums and new born babies to shelter from the rain and snow. Who knew that the marquees we hire for weddings and celebrations are also hired by farmers to protect their animals in the colder months! 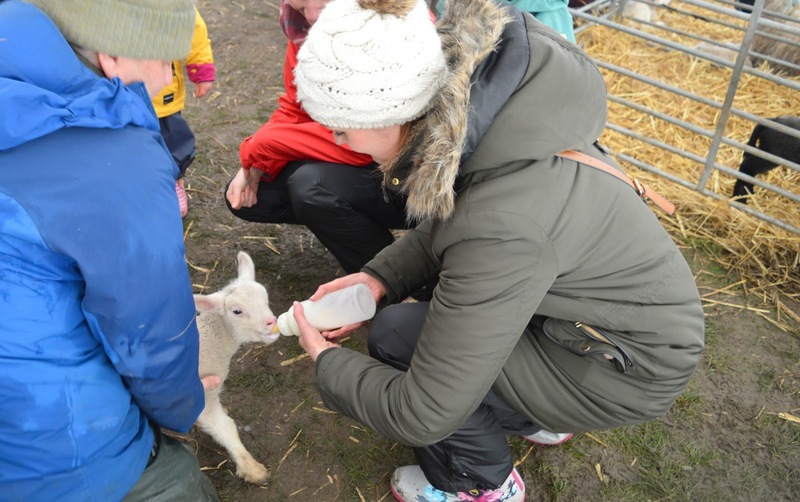 With only a certain amount of tickets released for each session, the best thing about the lambing experience at Broom House Farm is that there aren't too many guests tripping over each other. Our trailer brought a full amount of people to the farm but as soon as we got into the marquee we were split into two groups ensuring that we all got plenty of time with the animals and were able to ask any questions that we wanted. As soon as we got into the marquee I didn't know where to head first, there were adorable fluffy lambs everywhere that I looked and in each pen I discovered babies cuter than the last. First on the agenda was lamb cuddling, and our host farmer picked out a few lambs from the pens for cuddles. 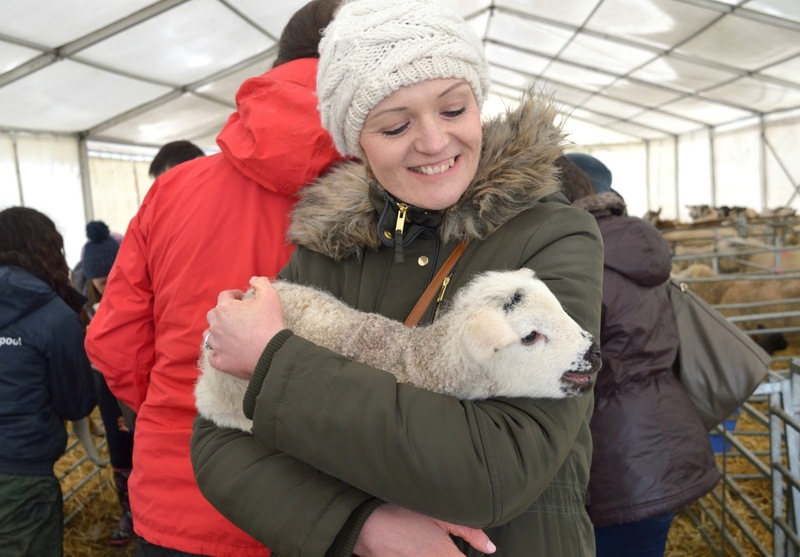 Being one of the few couples there without children I was a little worried that we would get overlooked but we soon realised that Lambing Shed Live really is an event for everyone and every single person that wanted to hold a lamb had the opportunity. After I'd made sure that all the children had had a go I stepped forward for my cuddle and soon had a lively bundle of wool snuggled into my arms. He was a noisy little fella and was happily bleating in my arms before settling down for a stroke. I got plenty of time with him and I loved having him all to myself without feeling rushed to pass him onto anyone else. Heaven! Once we'd all had a cuddle we were introduced to a lamb that had been born only a few hours before and were taught a little about how the lamb is kept healthy in Mum's tummy and a bit about the birthing process. Our farmer was fantastic with the children in our group and kept them really engaged throughout his talk. We were then taken to the back of the marquee that was filled with Ewes due to give birth at any moment. Unfortunately we'd just missed a few births earlier in the morning so were told it wasn't likely that we'd get to see any during our visit but it was interesting to hear more about the Ewes and the different breeds that they keep on Broom House Farm. Next was the part that we'd all been waiting for, bottle feeding the orphan lambs! Ewes can only look after two lambs so when a third lamb is born it needs to be bottle fed before it can be given to a Ewe who only has one of her own to look after. I was over the moon when I got the opportunity to bottle feed a lamb, something I've not done since I was a child. As we climbed back into the trailer to make our way back to Wallington I promised poor Simon (who'd stopped being able to feel his toes about 10 minutes earlier) that I'd treat him to a hot chocolate at the cafe. Unfortunately the awful weather conditions meant that when we got back the tea room was closed! Yet another funny story to add to the reasons why my husband hates adventures eh? The Lambing Shed Live at Broom House Farm was one of the best events I have ever been to - it was so well organised and very informative, we loved every second of it and something tells me we'll be back next year! 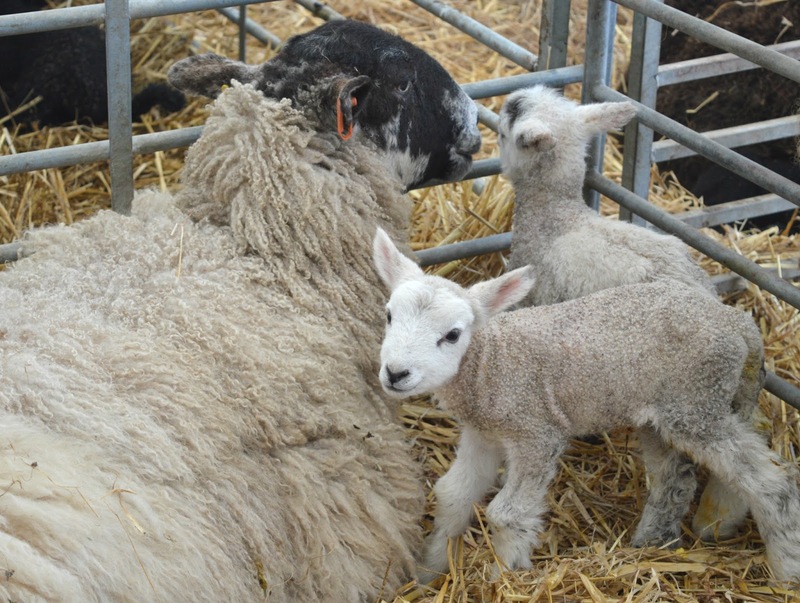 The Lambing Shed Live takes place at Broom House Farm at 12:00 pm and 2:00 pm every day through the Easter holidays. Tickets cost £6 for adults and children (under twos visit for free) and there are still some tickets left to purchase here. I'd never heard of this place till I saw it on your instagram, what a wonderful place to visit, especially at Easter, I'm so jealous you got to cuddle those cute baby lambs, they are adorable! I heard about it a few years ago and was desperate to go but every year it rolled round we ended up being too busy so this time I made sure I made a plan as soon as the tickets went on sale! Yes, I thought that £6 was such a bargain! They're gorgeous aren't they! I ended up wanting to take them all home! Yes! It took us 2 years to get ourselves there, every year I left it too late or we'd go away - we got our tickets straight away this time, I think they went on sale in around February time, I was checking every week for them!